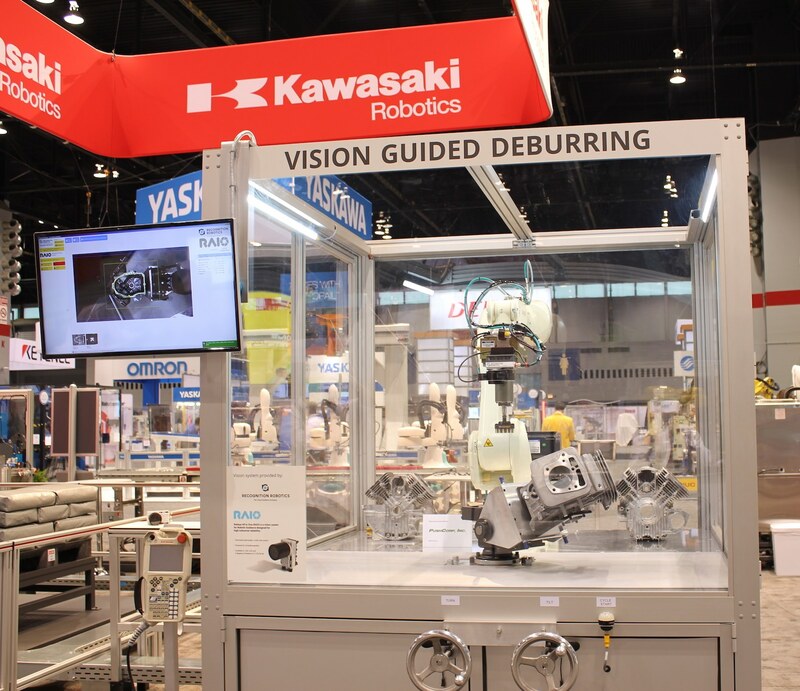 Kawasaki and Recognition Robotics collaborated on a vision guided deburring cell, utilizing their RS010L robot and our RAIO 6D guidance product. 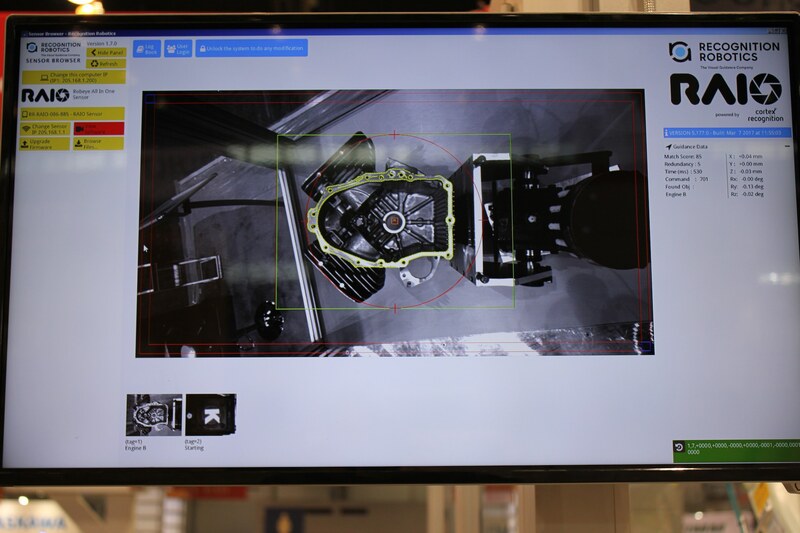 This interactive demonstration allowed attendees to manually rotate an engine block one hundred and eighty degrees, and tilt the block upwards of thirty degrees. 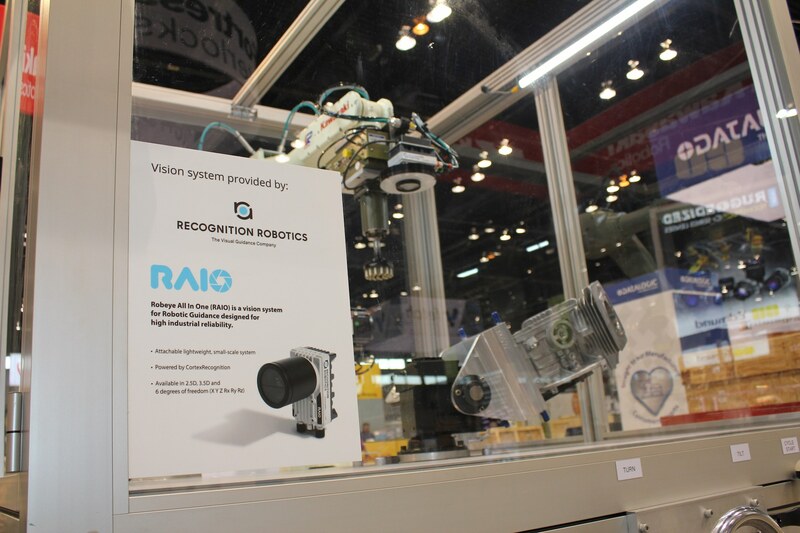 The RAIO guidance unit would then locate and align the robot to the engine block, and perform a deburring path along the machined surfaces. 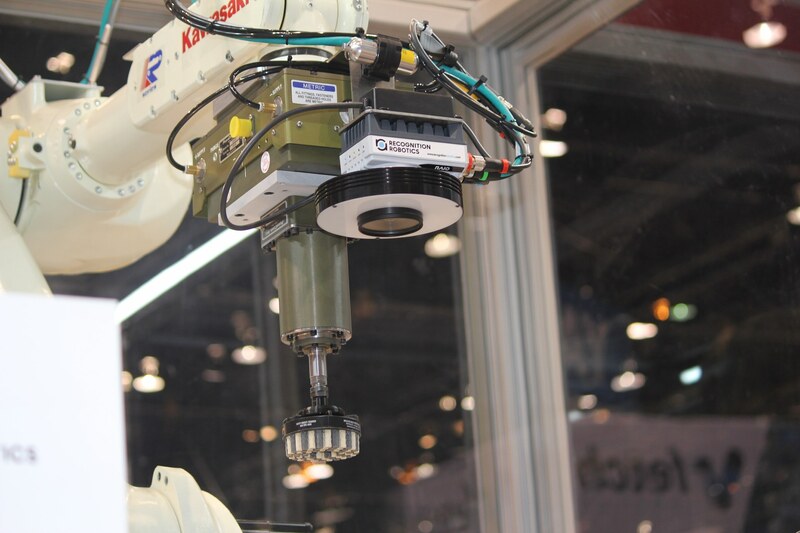 This was a big hit at the show, helping to bring in a record number of attendees to the Kawasaki booth, and generating a lot of interest in both Recognition Robotics and Kawasaki Robotics technologies! Fill out the form or call us to request a simulation, have your questions answered, or speak to a representative.